Yet state, county and even tourism officials are doing little to try to reduce what’s become one of the highest rates of visitor deaths in the nation. Breathing through a tube is uniquely challenging. And it can turn deadly for those who have health issues but don't recognize the risk. Getting a loved one back home can be a tedious and costly process. 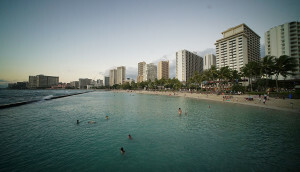 Part 4: Is Hawaii Doing Enough To Oversee Commercial Tour Operators? It's difficult for consumers to check up on tour companies, including their safety record or whether tour guides are qualified and trained. Ocean safety experts, tourism officials, lawmakers and families who have lost loved ones have definite ideas about keeping visitors safe in Hawaii. Too many people are ignoring or simply not understanding the warning signs posted at many public beaches. 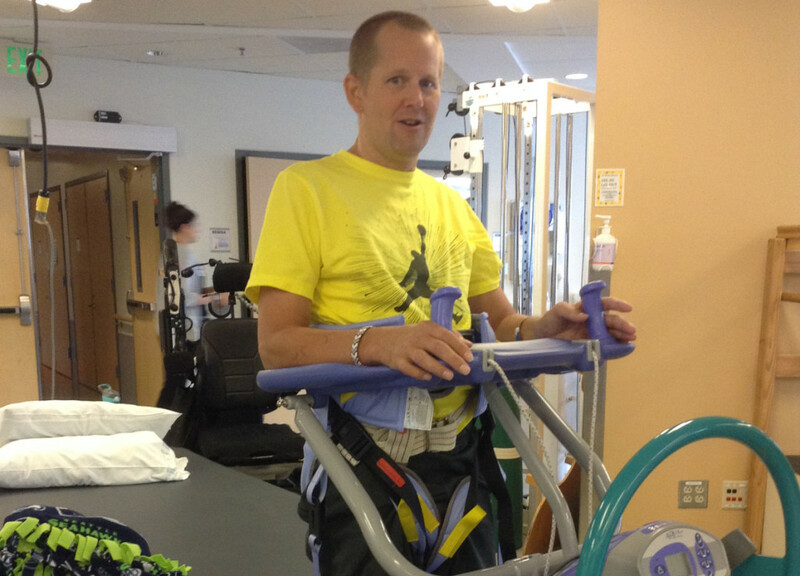 Just hours after starting his Hawaii vacation, Todd Duitsman was paralyzed from the neck down. Duitsman and his family flew from Seattle to Maui in July 2014. They dropped their bags at their condo, got a bite to eat and drove straight to Makena’s Big Beach. An hour later, Duitsman was body surfing in the shore break. 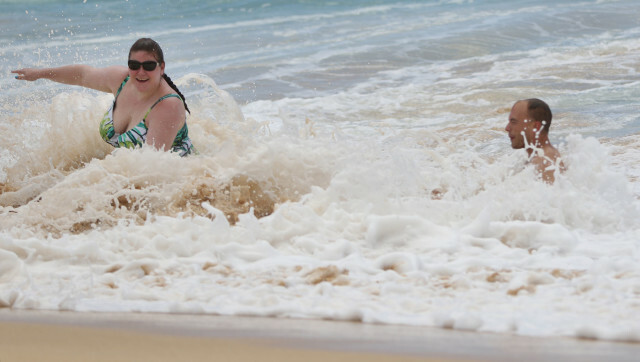 Many tourists suffer spinal cord injuries at Hawaii beaches. An average of 32 visitors per year sustained back and neck injuries from 2009 to 2013, according to Hawaii Department of Health data. Nearly a third of all spinal cord injuries in the state happen in or around the water, Health Department data shows, and just over three-fourths of those injuries are suffered by visitors. From 2009 to 2013, tourists experienced 162 spinal cord injuries on Hawaiian beaches. Makena Beach looks deceptively safe on a recent morning in January. The sign tells the real story. Wendi Van Briesen, a flight attendant for Southwest Airlines for 17 years, died less than two weeks after Duitsman was injured — in nearly the same spot. 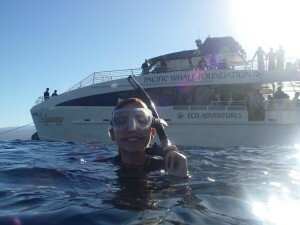 Swimming in the waters off Makena, she cracked two vertebrae and suffered a head injury. That same day, a 17-year-old Arizona teen, Alex Spartz, was doing flips in the water at Kaanapali, also on Maui, when he landed hard and was paralyzed from the waist down. Makena on Maui is the worst beach for spinal cord injuries, a review of state Health Department records shows. Hapuna on the Big island, Brenneke’s on Kauai and Sandy on Oahu are also hazardous locations. All this despite signs posted at state beach parks warning beachgoers of dangerous shore breaks. Local residents often make body surfing and boogie boarding look easy and fun, and visitors might not realize how much skill and danger is involved, he said. Sandy Beach Park on the east side of Oahu is one of the most dangerous beaches for spinal cord injuries in Hawaii. Most injuries that occur in the ocean happen in less than 3 feet of water, often at beaches with strong shore breaks – like Sandy – that typically have rip currents, a shallow sand bottom and powerful waves. These beaches can pose a special threat to visitors who have little experience in the ocean. The state and counties are required to post signs warning of the dangerous conditions, but only at public beach parks. They’re often ignored though; it’s not uncommon to see towels hanging over them, blocking the message. Duitsman says he saw those signs the day he was injured. But they weren’t enough to deter him from diving head-first into the surf at Makena. 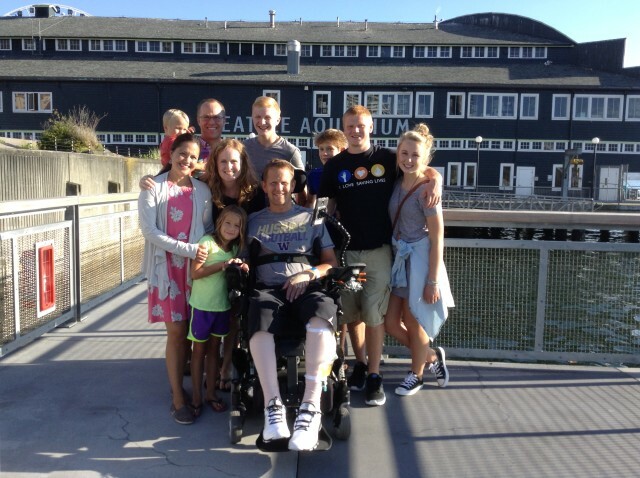 Todd Duitsman, pictured here with his family in Seattle in 2014, says he paid little attention to warning signs before he dove head-first into a wave at Makena Beach on Maui. The Department of Health once tried to figure out how useful the signs were and if they were having any impact. 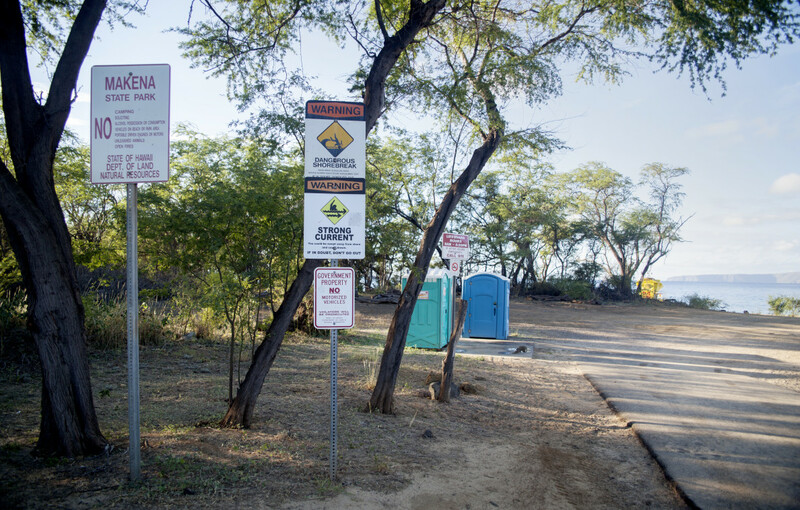 A DOH survey in 2009 found that a little more than half of beachgoers notice signs posted at Oahu beaches. And about half of the people who noticed the signs read them correctly. Yet the state made no changes to the signs to make them easier to understand or more visible. Bridget Velasco, a drowning and spinal cord injury prevention coordinator at the Health Department, says that consistent warnings before visitors even get to the beach is likely a better way to prevent injuries. 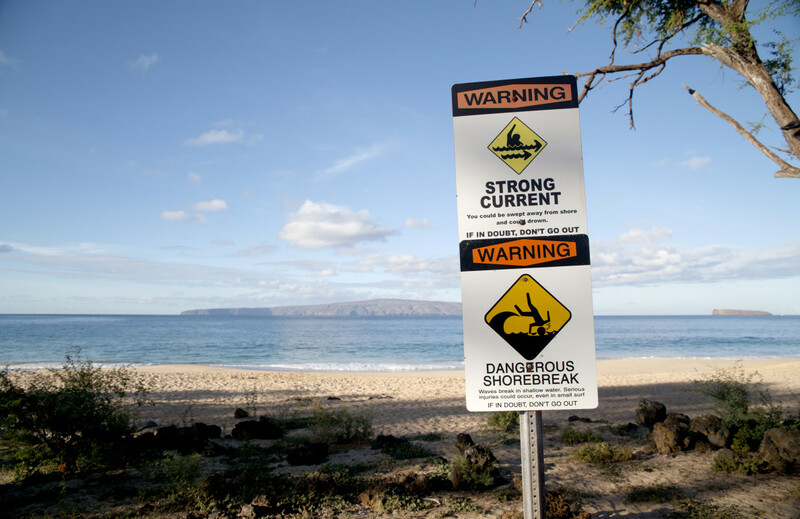 State officials are trying to figure out how to get people to take warning signs like these at Makena Beach seriously. 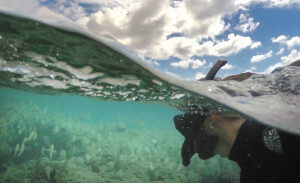 Velasco is working with the new Drowning and Aquatic Injury Prevention Advisory Committee to craft a message that can be posted on visitor websites, airports and hotels to get tourists’ attention before they get to beaches. The committee held its second meeting Dec. 1. “We definitely can’t just rely on signs, that’s obvious,” Velasco said. 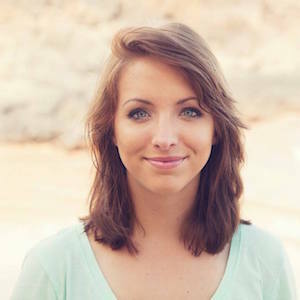 Marina Riker is a former intern for Civil Beat. 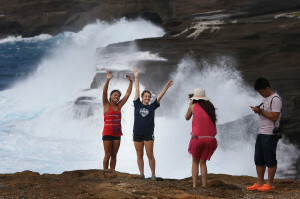 Is Hawaii Doing Enough To Oversee Commercial Tour Operators?